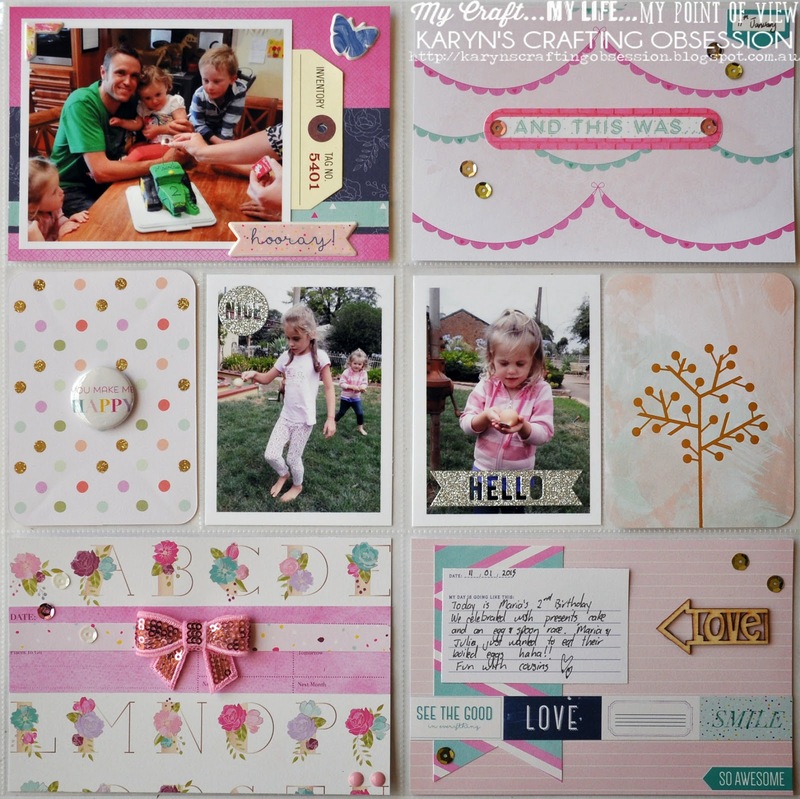 Smile - Project Life with Karyn! It's Karyn here today and I'm showing you Week 2 for my "Schultz Family 2015" Project Life Album. 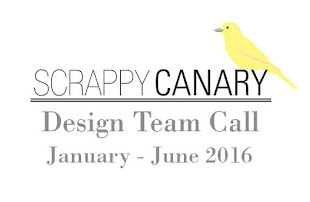 All the goodies used on this page are from Scrappy Canary. 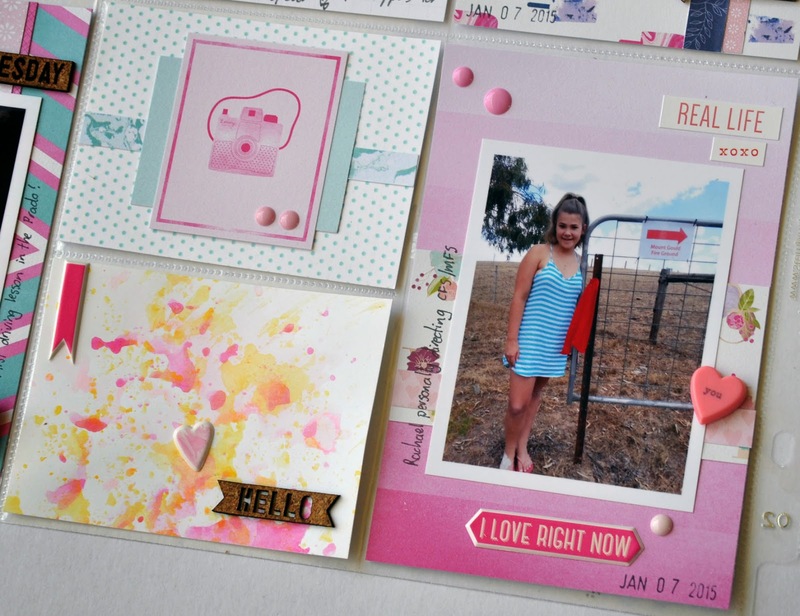 In particular the January pocket life kit - Candy Heart and the January embellishment kit - Be Mine. 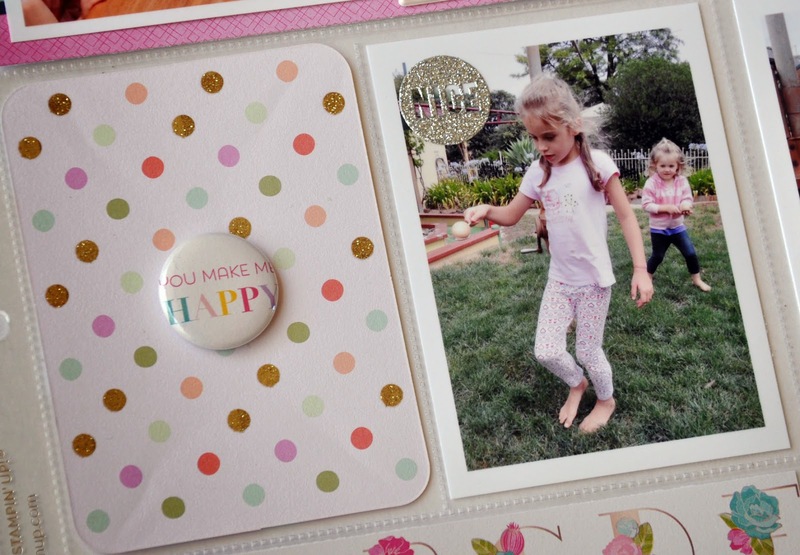 The sequins are from the January Scrapbook Kit - Lots Of Love. Here is a close up of the LHS. I've used all of the girly patterned papers from the kit on these pages. In fact I have used up ALL of the papers in the kit. 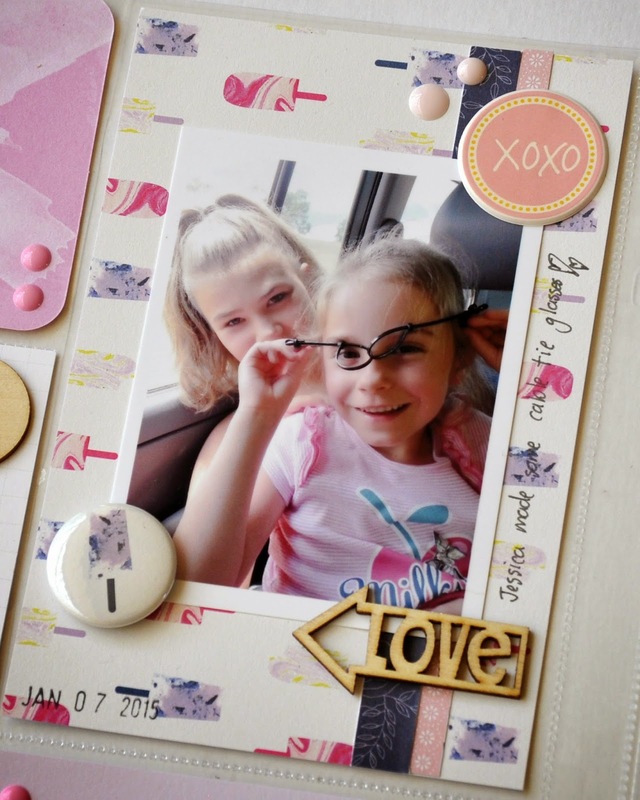 The sequin bows and the heart brads from the embellishment kit are perfect on this page! 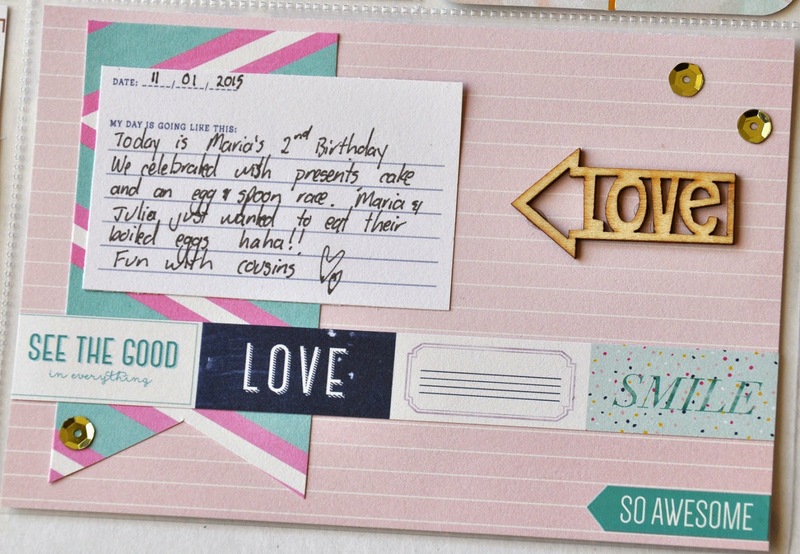 I love to use extra strips/offcuts of paper in my layering and I made my own flair using some of the paper. I watercoloured on a piece of white cardstock to add my own personal touch! 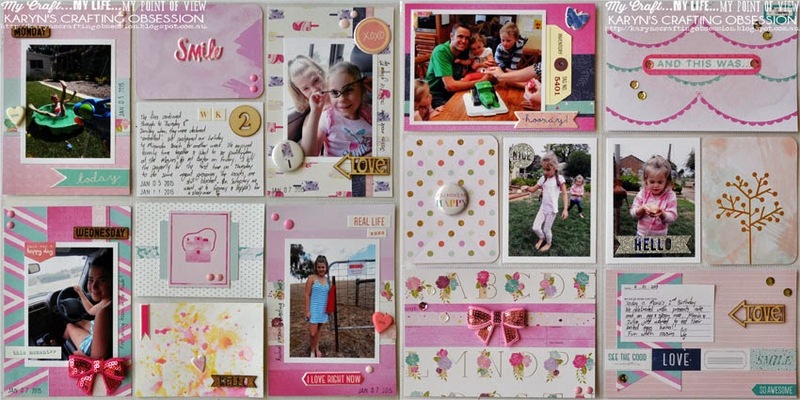 This is a super cute spread....love that little sequin bow & the water colouring touch is FABULOUS!! !